Get ready for South Carolina’s annual Sales Tax Holiday weekend from Friday, August 3, through Sunday, August 5, 2018. During tax free weekend, a variety of back-to-school essentials are exempt from the state’s 6% Sales Tax and any applicable local taxes. Tax free items range from clothing, accessories, and shoes to school supplies, book bags, and computers. Shoppers will also find tax free items for the home and dorm room. 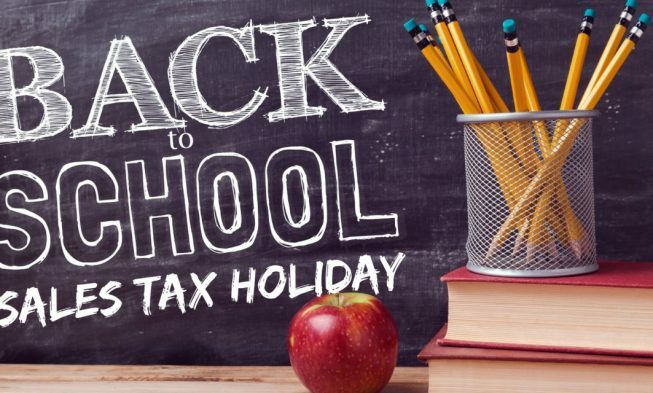 For more information about this year’s Sales Tax Holiday and for a detailed list of exempt and nonexempt items, visit the South Carolina Department of Revenue’s website at dor.sc.gov/TaxFreeWeekend.